HONG KONG – Chinese actress Zhou Xun will be honored as the "star of the year" at next month's CineAsia exhibition and distribution convention in Hong Kong. Zhou's claim to the honor lies with her starring role in three of the biggest Chinese films of the year: recently released hit "The Message," and upcoming "True Legend" ("Su Qi Er") and "Confucius." The 33-year-old is an 18-year-veteran of the film industry having achieved a breakthrough with her starring role in "Suzhou River." 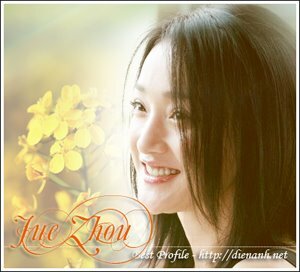 She has since collected acting prizes from most of the available Chinese-language awards series. These include China's Hundred Flowers Awards, the Hong Kong Film Awards, Hong Kong's Golden Bauhinia Awards, Taiwan's Golden Horse Awards and the regional Asian Film Awards. "It is very exciting for us to recognize Ms. Zhou and we look forward to following her career in the years to come," said Robert H. Sunshine, managing director of the event. The prize will be presented to her on the last night of the CineAsia convention (Dec. 8-10) at Hong Kong's Convention and Exhibition Centre. CineAsia and The Hollywood Reporter are both part of the Nielsen Business Media group.